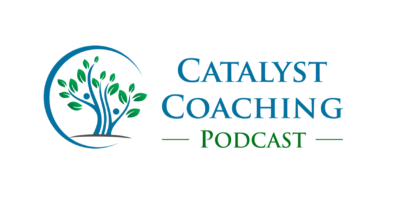 Brad: Welcome to the latest episode of the Catalyst Health and Wellness Coaching podcast. My name’s Brad Cooper and I’ll be your host and we have a very special edition this time. It’s dedicated to teachers. There is such an emphasis on childhood obesity right now and all the related elements around that. We thought it might be helpful to a lot of the teachers out there to provide some ideas, some hope, whether you decide to actually pursue some sort of official wellness coach training or not. Just to provide some concepts and resource some ideas of what’s currently happening out there and maybe it’s something you can implement as well. So today’s interview is with a fourth grade teacher, Ashley Cooper. She’s a graduate of one of the top universities for education in the country, the University of Northern Colorado and she went through the wellness coach certification training and has been implementing a number of different aspects for her students and she’s going to share a lot of those with you today. So with that, let’s get started. All right, well Ashley, thanks for joining us here today on the Catalyst Health and Wellness Coaching Podcast. I’m very curious to hear what you have to say about health and wellness in the classroom. This is this going to be fun. I think a lot of folks will be tuning into this one. So first of all, why did you decide to pursue the wellness coach certification in the first place? Ashley: I decided to choose the wellness coach certification for a lot of reasons, so one of them is personally I just wanted to be a better friend, a better girlfriend, a better daughter. I feel like it gave me the resources to really dive deep with people and help them get to the place they want to go. But from a professional standpoint, I am a teacher and so I feel like as a teacher I’m not only giving them content, giving my little ones things to learn, but I’m also there to help them become the person that they’re meant to be and I feel like the wellness coaching certification gives me more resources to help them reach that place. Brad: 02:05 So thinking of the educational setting, where do you see a need for wellness in general and especially wellness coaching or at least the tools that you learn as a wellness coach in that educational setting. Ashley: So I think it goes back to in the classroom, I’m not only there to teach them how to do math, but they’re in class every single day for eight hours and they’re learning how to interact with people, learning how to eat healthy, they’re learning how to eat not healthy, how to do fitness. They’re learning whether they like to go to PE or they don’t like to go to PE. They’re making all these decisions all the time. And so I think that wellness and wellness coaching is so important in the classroom because you’re setting these standards for the kids and habits that they can take in the future with them. Like they’re only 10 but they still have to make these decisions every single day and it’s going to affect them in the future. Brad: Okay. So wow. Like that’s so many good points there. Let me take a step back. You went to one of the top universities for education in the entire country. I’m thinking because what you said makes so much sense. It is important. It’s critical. Did you get a lot of this type of wellness centric training? Maybe not wellness coaching per se, but wellness centric training during your undergraduate years? Ashley: No, so in college, what I found is a lot of the professors I had, they were very knowledgeable about how to teach a child to read or how to get a child to understand this math problem, 10 different ways, which is very important and I’m very thankful for those lessons, but I think their model of education that they were trying to teach us was more like you sit down in a classroom, you learn this content, and then you leave at the end of the day. I think education now is leaning more towards every single one of the kids in your class is different. Every single one of them needs different instruction. They all need different fitness levels during the day. They need different activities and they need to learn to collaborate and all of those things, so that is something that I did not get in college, but I’m having to learn from my coworkers now and having to just try stuff because it’s important. Brad: So you went through this wellness coach certification training. How have you been utilizing the skills, the techniques, different resources, those kinds of things that you learned with your students, but then as kind of a part B to the question with friends or coworkers or other people that you interact with? Ashley: So with my students, I feel like the biggest thing about wellness coaching is that you’re not trying to get a person to a certain spot. You’re not going into the coaching session saying, okay, I want this person to lose weight. And in the same way with students, when I sit down with them and I’m talking with them, I’m not saying okay, every single one of my students have seen 100 percent on this test and also interact perfectly with every other child and stuff like that. Like when I sit down with the students, I’m really trying to understand who they are and where they need to go and where they want to go. So we really, like in my classical setting is a really big deal. So we goal set every quarter, like I said, sit down with my kids individually and they set a goal for themselves and it’s not just around math or reading, we do the goals for that, but it’s also around goals with social aspects. Brad: That is so great. So we talked a lot about helping people become their best self in the employee wellness setting that I’m more used to. But you’re really saying the same thing with the students and coworkers too. But you’re saying that with the students. Ashley: Yeah, so I strongly believe that children have all of the things that adults have. They’re just smaller and they just haven’t experienced as much yet. But they all feel embarrassment, like insecurity and they all feel that they are not good enough or they’re not reaching the spots that they need to be at. They all have dreams and goals and I think it’s important to acknowledge that and then help them get to a different place just like we would with an adult. Brad: You described me pretty well there with all of the insecurities and everything else you just mentioned. You’re not supposed to do that on the tape. Okay. So next question. When it comes to the broader concept of wellness, and again this is with the students in your class, the kids, do you focus just on and I’ve got little quote marks here, “food and fitness”, that’s kind of what a lot of people will think of as wellness. So do you just focus on food and fitness things with the students or have you broadened the wellness piece to include other areas like, I don’t know, sleep, stress. I know you mentioned goal setting and then if so any just fun little examples that you’ve seen happen? Ashley: Yeah, so I definitely believe in wellness, being a whole person, not just food and fitness. So we have talked to my class a little bit about healthy choices for snack and we’ve talked about, we’ll talk about working out or getting our steps in or something like that. But we also focus on, so every week we do another goal setting thing where they on a sticky note, they write down a goal and it’s around a certain thing. So this week it’s collaboration, but a few weeks ago it was sleep and so we talked through for a long time, actually probably longer than we should have, how important sleep is. And we talked about the different things that can keep you from sleeping. We talked about how important it is to not be on electronics right before sleep. We talked about ways to get yourself to sleep easier and stuff like that. Ashley: And what I found really interesting is when we are talking about it, I heard all of the excuses that all of my friends use for sleep. That all of the adults in my life use such as, well, I’m really busy at night and I don’t have time to go to sleep on time or I have to wake up really early for school and stuff like that and so it was fun because I got to talk to them about, well, do you come straight home from school and start your homework and then go straight to practice? Do you literally have no time or do you feel like you don’t have any time because just because you’re doing other things instead of choosing sleep and a lot of them, it was so cute. Got these looks on their faces the same as adults and they were like, oh, okay. Ashley: Like you’re right, you’re right. I could be sleeping more. So they all set goals around that. They had to set a goal around hours of sleep they got in the week, so it’s not a nightly basis because we talked about how of course there’s times when you’re not going to get as much sleep as you want and that’s okay. You can still have a good day, but overall it’s important to be getting as much sleep as you can and so they set the goal and then every morning I didn’t tell them to do this, but every morning then like 26 kids would come up to me and tell me how many hours of sleep they got and as the week went on, then it was fun because a few of them at the beginning of the week they came to school and they would just have these sad faces. Ashley: They’d be like, Ms Cooper. I did not get very much sleep. I got like five hours of sleep and we would talk through like, okay, well why did that happen? What was causing that? And by the end of the week than almost all of them were getting nine hours of sleep or eight hours of sleep compared to before what they had been telling me of like, yeah, I go to bed at 1:00 AM and I wake up at 6:00 AM. Then that’s so much better. So it was really cool because they literally, they get nothing for these goals, for passing these goals off. It’s just we’re talking about it and they’re being aware of it. So it’s exciting to see the growth in that. Brad: You heard me chuckling, but I’m, I’m more amazed than humored by this because the things you’re talking about as you joked about, it’s the same thing that we say as adults of why we don’t get enough sleep. But sleep is such a core thing. I mean it affects everything. And then by the way, side note, I think episode three or four on evidence based coaching, we did a whole review of some of the recent research on sleep. So if you’re into sleep and you’re curious about that, you may want to peek back at that one. But wow, what a cool thing at age 10 to be able to tune into the realities, and I’m sure they realize even the look on your face and I know our listeners couldn’t see that. But when you were showing what the kids would say when they came in and said, oh, I only got five hours of sleep, they realized it. They could feel a difference that day. And so you brought that to their attention. That’s huge. Most adults have not tuned into how important that is. And you have 10 year olds tuning into that. So wow, your students are lucky. Alright. Let’s talk about this personally. Did the wellness coach certification training have any impact in your own life? Just the things that you went through as part of that training? Ashley: Yeah, I would say for sure. I think I’ve always struggled a little bit with the health and fitness side. I think for a little while I felt like I had to be working out every single day really hard and working out was difficult for me. Like it’s not my favorite thing for sure. And so I think the wellness coaching certification has helped me see like, okay, let’s instead of going to the gym and running for an hour, which you hate, it’s okay to go to the park and do a circuit with your best friend. And enjoy it and then go get a smoothie afterwards and it’s given me the freedom, I guess, to explore options for me that work for me instead of this one size fits all, you have to run or you have to go to the gym for this amount of time or this is going back to my classroom, but I’ve found. So we do things called fitness sticks, which is, it’s basically a brain break if you’re an educator. I have these sticks and they have different things on them such as 20 lunges or 10 squats or textbooks lifts even. And every time I’m seeing my kids starting to droop, because it happens. Then we do a fitness stick. I have a kid pick a fitness stick, and then we all do it as a class. But what I’ve found is that it’s really fun because if I do 10 of those a day, then that’s my workout for the day. That is a solid workout. And it’s been nice because that’s fun and that’s something I’m doing with my kids. But it’s also exercise. And then for my kids it’s awesome because it’s showing them again, a fun way to do exercise and that you can do it throughout your day and then it doesn’t have to be this like going to the gym thing. So yeah, I think it’s just given me the grace and the freedom to really take fitness into my own and not let it control my decisions. Brad: You know, what’s going to happen here. You’re going to have some company here you and say, oh my gosh, this lady needs to be our wellness director. But anyway, really cool example with the sticks. I’d love to hear some other things. You shared some things with me off mic that you’ve done in your classroom to really integrate wellness into the classroom and you’ve shared some of those. Any other fun stories of things you’ve done in any of the different areas of wellness? Ashley: A few cool things with the sticks. So I have a few kiddos that just like hate PE, like they can’t stand going. And I relate to that a lot. Like I hated PE in elementary school. Like I would actually fake sick every PE class and I don’t know how my parents didn’t realize that that was happening. I don’t think anybody told them that was happening, but because I hated exercise that much. But with the sticks they’re exercising, but all of my kids love it. They all get so excited all the time. Like sometimes I’ll be tired and I’ll be like, we just have to get through this lesson. Like I just want to keep going and they’ll be like Ms Cooper, but you know, fitness sticks. Like we can do fitness sticks, please can we do a fitness stick? New Speaker: And it’s not my kids that are playing football, it’s not my kids. I mean they are too, they’re excited too, but it’s, it’s my kids that are not excited about PE and that they’re excited about the fitness sticks. And I just think that that’s setting such a cool example for them of I can do this. Like I can do 10 squats or I can run across the room once. Like I think that’s really cool. Some other things, so with goal setting, I asked one of my kids or I asked the whole class if they wanted to read any of their stories because we write stories in class all the time and one of my most shy little girls, very, very shy. She raised her hand and she said, so I don’t really want to share but it’s my goal this week so I’m going to share. And I was like, okay, please, please go up and share it. Ashley: And so she stood up in front of the whole class and she’s never done this before and she just, she shared her beautiful story that she had written and she did a great job and as soon as she’s done she’s like, okay, I’m done. And I loved it. And like that’s such a powerful moment for me of the importance of setting high goals for yourself but achievable goals and teaching these kids that something that she would never do, she can do if she decides she wants to. So that was really cool. I really liked seeing her do that. Brad: This is just such cool stuff that the impact you’re having, and we’re not even talking math and science and English and writing skills and all that, they’re getting that, but this is allowing them to do that more effectively while learning life skills that will literally change the rest of their lives. Thank you for joining us. This is awesome. You’ve shared some encouraging stories. Any others that you’d like to share? Just kind of fun things that stick out in your mind. You’ve put some things in place. You’ve implemented some different strategies and programs within your class. Any other fun little stories that you remember that stemmed from that? Ashley: Yeah, we always have a snack every day in school, so in the morning then they have a snack and we’ve talked about sometimes they bring in candy and we’ve talked about how that’s not going to help them in the day, so the whole purpose of a snack is to fuel them and to keep them going. It’s fun because after I bring that to their attention and some of them have been like, oh, like you’re right, like maybe I shouldn’t have candy every meal of the day. Maybe I should eat real food, but also it’s been really cool food wise because I made a promise to myself and to my kids that I would not give out candy as a prize. So a lot of teachers, which I understand 100 percent because it’s good to reward your children and if sometimes kids will do anything for candy and when you’re a teacher, sometimes you just want kids to do what you’re telling them to do. Ashley: And so I totally understand giving candy, but I decided that I wanted to teach the fact that experiences are more important than junk food. So what I’ve done is we do a classroom economy which is really cool. Not my idea, but I really love it where if they do something positive, they get money for it. If they do something negative, they get their money taken away and then once a week we have something called a store, classroom store, and so I’ve created a bunch of things that they can do with their money, but all of them are experienced based, not consumerism based. So for example, they can have lunch with me and a friend or they can be in the spinny chair. They can choose the song at the end of the day or something like that and my hope with that is that they will start seeing the value in moments and in adventures and in really putting themselves out there and trying new things rather than spending all of their time or effort on yummy food or candy. Brad: What advice would you give the teacher who maybe someone passed this podcast onto him and been looking into wellness coaching and they’ve considered pursuing a certification to enhance their skills and resources. If they were sitting here with you now and saying, Ashley is it something I should really look at, what advice would you have for them? Ashley: I would say definitely do it. I think as a teacher it’s becoming less and less of you’re teaching them things and it’s way more you’re a counselor, you’re friend, you’re sometimes a parent, you’re a coach, you’re an encourager, you’re so many things to them that I think it’s really important to have the tools and resources to really understand them and to really get to know them as a whole person. The best teachers are really good in general at really understanding kids and like they have a heart for kids and want to know who they are, but the wellness coaching certification, it takes it to the next level so it gives you the tools and resources to actually do what you want to do instead of trying it on your own, which I’m sure you do a great job, but it just takes you to the next level and I think that that’s a really valuable thing. Brad: Great. So we have other teachers who have been through wellness coach certification, so let’s say you’re talking to them now and they’re saying, okay, I’ve been through the training, but I’m struggling to implement it. I’ve got some tools. I’ve learned the things that you’ve learned, any advice for them on how to get started implementing or integrating it into their classrooms on a daily basis? Ashley: Yeah. I think the biggest thing is take a step back and look at your priorities, so decide what am I really doing here as a teacher? Am I here to have them all get straight A’s and then pass them off to the next teacher or do I want them to understand how to eat healthy? Do I want them to understand that fitness is something they can all do just in a different way? Do I want them to get tools to handle their stress, help them see that they can reach all of these goals that they set for themselves. And then once you decide which areas. I think it’s important too to not do them all at once. So something that’s been helpful for me is every single week we do a different goal, so that helps me hit all of those things, but if I was trying to help teach them about sleep and stress and anxiety and fitness and healthy eating and all of those things in one week I would go crazy because we also have so many things to teach that isn’t around health and wellness. So I would say take it one little step at a time and they’ll build on each other and I would say just make it a priority and you’ll get it done. Brad: Well Ashley, thanks again for joining us today. Any final comments, thoughts, things you’d like to share with the audience, especially the teachers that are out there listening to this? Ashley: I would say one last thing is as teachers it’s really hard to have a work life balance. I think we come home and we’re thinking about all of the kids in our class and we’re thinking about the problems that they’re having or we’re thinking about how we didn’t feel like we did a good enough job today or I think we take a lot of things very personally, which is a good thing. That’s what makes us good teachers, but I think it’s really important if you’re teaching your kids about health and wellness to also be doing it yourself. I think it’s really important to be taking care of yourself and having time to relax and having time thinking about yourself and time to be finding what works for you with fitness and finding what works for you with healthy food and even like modeling healthy food in front of your kids is awesome. Ashley: I know I’m for sure not 100 percent healthy all the time. I’ve definitely eaten chips in front of my kids or had days where I am sitting down every chance I get, but I think it’s important to be honest with them about stuff like that. It’s important to say these are my goals and this is how I’m working to attain them, and then it’s good to say, oh my gosh, you guys, I did not reach my goal this week and that’s okay, and next week I’m going to set a different goal and I mentioned to my kids that my goal as a teacher, because we set goals as teachers with the principal every year is to speak up in team meetings because I have trouble and I told my kids this. I have trouble speaking in front of adults because I get nervous that I don’t have the right thing to say. Ashley: And it kind of blew my mind what they, how they responded to me being honest to them about my struggles because they even said they’re like, but you talk to us all the time, but you’re always in front of us and I was like, yeah, but I just struggle as an adult sometimes to do that with other adults. And so. But I think that helped them see, okay, I don’t have to be perfect at everything. I’m not going to be perfect at everything, like my teacher can’t even do this, so it’s okay, but then still showing them that you’re still striving for something I think is important and that you’re still taking care of yourself is important. Brad: Oh, that’s outstanding. Ashley. Thank you so much. Fantastic guidance. Thank you for sharing your heart and I think it’s going to go a long way. So I appreciate it. Brad: That brings us to the close of another episode of the Catalyst Health and Wellness Coaching podcast. But before I completely wrap this up, I’ve got a favor to ask. Teachers generally are not going to hear this. Our audience is wellness coaches and those who were on the fence thinking about it, teachers are, they’re teaching, they’re doing other things. They’re not going to receive the encouragement, the ideas, the hope, the different things that Ashley talks through. Unless those folks that know about us that hear this, share it with them. So if you know, a teacher that might be inspired by today’s episode or encouraged or maybe they feel like they’ve hit a wall when it comes to all this health and wellness stuff for their kids, would you share it with them? I mean, the potential impact, generational impact in such an important area is pretty cool. Brad: But, again, without you they’re probably never going to hear it. Anyway, thank you so much as always, for choosing this podcast. There are so many options of different podcasts out there. We do our best to give you the stuff you’re looking for. We’ll continue to do our best. We love your ideas, keep sending them. We want to give you the tools and resources to enhance your coaching, your career, and your life, and your ideas will help us do that. So reach out to us anytime Results@CatalystCoachingInstitute.com, or you can access the website and pull up some resources there at CatalystCoachingInstitute.com. Make it a great day and I’ll talk with you soon. On the next episode of the Catalyst Health and Wellness Coaching Podcast.